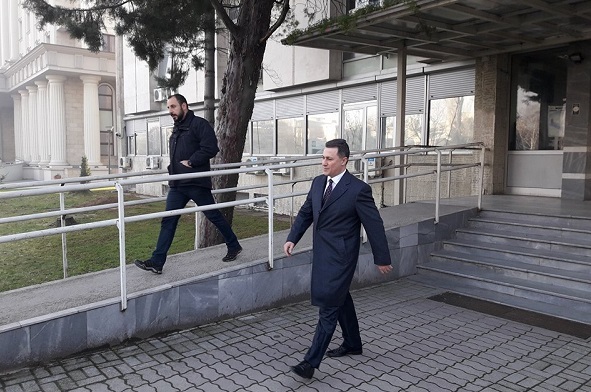 Citing two individuals involved in Nikola Gruevski’s escape to Budapest, Brussels-based news agency “Politico Europe” reports that Hungarian intelligence services are involved in Gruevski’s escape from Macedonia to Hungary. From the Government of Hungary they still do not comment on these claims, while the country’s Foreign Minister previously confirmed that Hungarian diplomats accompanied the former Macedonian PM on his way to Budapest. Hungarian PM Viktor Orban also made statements in defence of Gruevski, claiming that he cannot have a fair trial in Macedonia because “Complex political struggles and games are happening in Macedonia, and the justice system is a part of that,” while the Hungarian Justice Minister Laszlo Trocsanyi stated that Hungary is not considering the option for extradition of Gruevski, since Macedonia and Hungary have no extradition agreement. However, the Macedonian Justice Ministry revealed that since 2014, 15 Macedonian citizens have been extradited from Hungary to Macedonia, and that in none of the extradition requests were rejected on basis of bad judiciary and prison conditions, which in Gruevski’s case were one of the main reasons for the Hungarian authorities to grant him asylum.